In an alarming and lengthy detailed report, the South China Morning Post finds that "China might come under pressure to reconsider its long-standing 'no first use' nuclear policy as it engages in a maritime arms race with the United States, analysts have warned." This follows after the same publication reported earlier in the week that Beijing is planning to build four nuclear-powered aircraft carriers in a bid to "close the gap" with United States capabilities by 2035. The report also comes as the People's Liberation Army (PLA) continues its build-up in the South China Sea, a source of tension with US allies in the region, and as the US Navy tests Beijing's patience with continued flyovers of contested waters and "freedom of navigation" operations on the seas. The tensions are becoming ever more dangerous given "nuclear competition is brewing" as the SCMP report details. 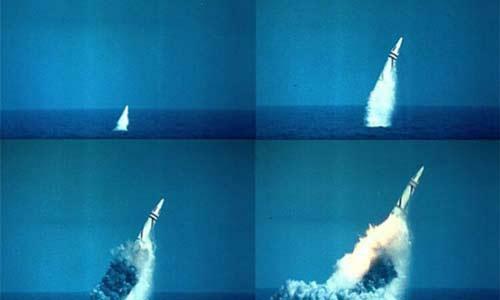 Such high stakes competition is seen, the report notes, in China's recent test of the JL-3 or Julang (last November), its newest 9000-km range submarine-launched ballistic missile, which has alarmed Washington. The test reveals "China is moving ahead with a new class of strategic submarines called SSBNs, vessels that could be equipped with nuclear-armed JL-3s and that would be more difficult to detect than conventional land-based nuclear weapons," the SCMP report concludes. Chinese military analysts see an uptick in US and allies' anti-submarine warfare preparedness in the South China Sea and the Indian Ocean, for which Beijing is making its own preparations through development of the JL-3 and SSBNs, especially in light repeat US affirmations that it will “continue to fly, sail and operate wherever international law allowed” — as Vice President Mike Pence stated recently in what many saw as a shot at China — and specifically through contested waters laid claim to by Beijing. 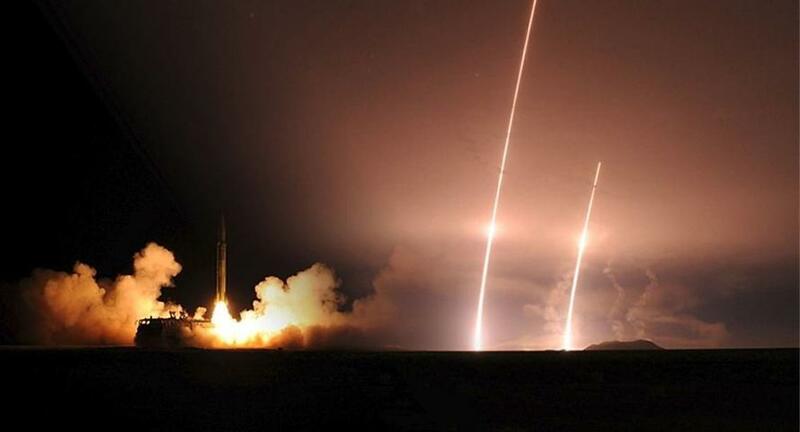 Currently both the US and China are capable of nuclear weapons delivery via land-launched nuclear missiles, nuclear missile-armed submarines and strategic aircraft with nuclear bombs and missiles; however, the United States far outpaces Chinese capabilities. Thus any review of its "no first strike" policy would come up against the reality that "China trails the US in these areas by decades, a technological gap that means Beijing could only for now work on its capacity to retaliate, or 'second strike' options," as the report finds. So the policy is unlikely to change anytime soon as President Xi Jinping undertakes ambitious plans for rapid military modernization. The report notes that China is also significantly behind Russia. Both the US and Russia together account for about 90% of the world's nukes. He explained further that America’s moves “are aimed at undermining Beijing’s second-strike capability,” and that Beijing’s push for more nuclear subs “was also pushed by the massive replacement of old generation [submarine-launched ballistic missiles]”. 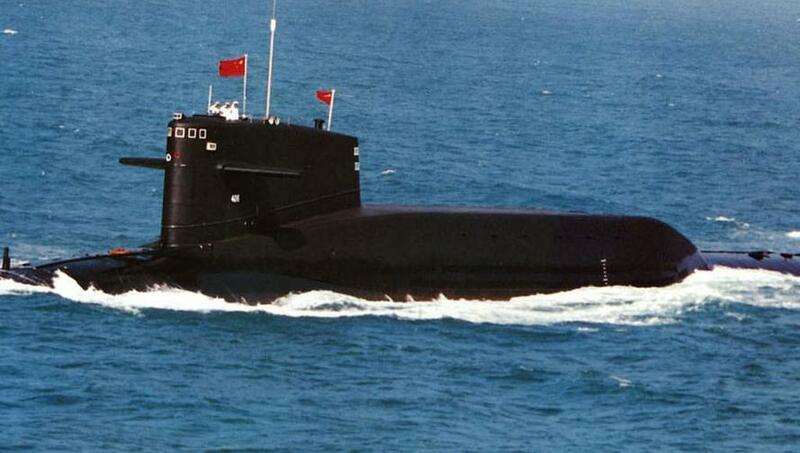 People's Liberation Army Navy Type-92 submarine nuclear ballistic missile submarine (SSBN), via US Naval Inst. Though it might be expected that China's current economic slowdown amidst an ongoing and unpredictable trade war with the US could put a temporary halt to the ambitious "nuclear expansion" and related means of delivery projects like subs, the Chinese analyst noted that military authorities have promised that under no circumstances would investment in the projects be cut: “Even if the economic downturn has an effect, we can adjust proportions in total military expenditure to make sure naval modernization keeps going,” Wang said. “For example, we can cut the number of new tanks. Also given that China's army and infantry is reported to be taking a backseat in terms of defense prioritization, Beijing is expected to continue shifting away from mere homeland-based defensive posture to engaging threats by air and sea, increasingly in disputed waters in places like the East and South China, and in protection of its interests abroad, further as its "Belt and Road Initiative" continues to take root.